Apparently, one benefit of being a very popular and prolific artist is that you can totally shred the Billboard charts with some good timing, because that’s exactly Future has done. 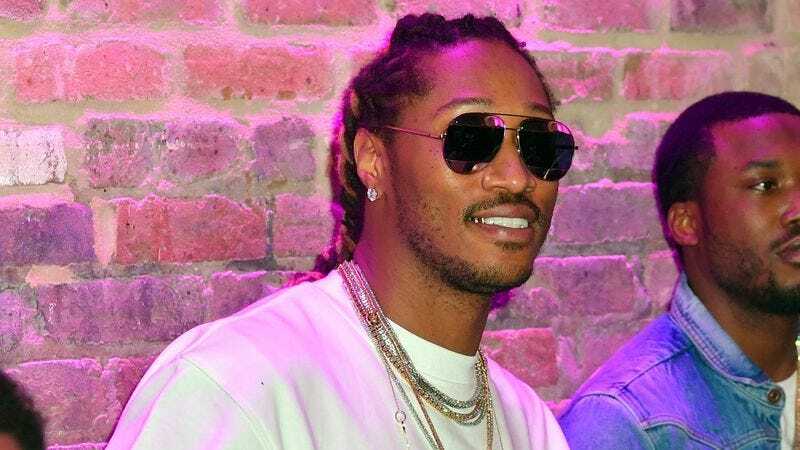 As announced on Billboard, Future just became the first artist ever to debut two different albums at the Number One spot in consecutive weeks, thanks to the back-to-back releases of HNDRXX and Future in February. This is also the first time an artist has reached the top of the charts with two albums in consecutive weeks at all since Simon & Garfunkel did it with Bookends and the Graduate soundtrack in the ‘60s, but neither of those albums debuted in the Number One spot. Also, just to throw more achievements onto the pile, the debut of HNDRXX only bumped Future to the Number Two spot, making Future one of only nine artists to ever hold both of the top spots on the Billboard charts, with Prince being the last one to due it when his album sales spiked after his death last year.